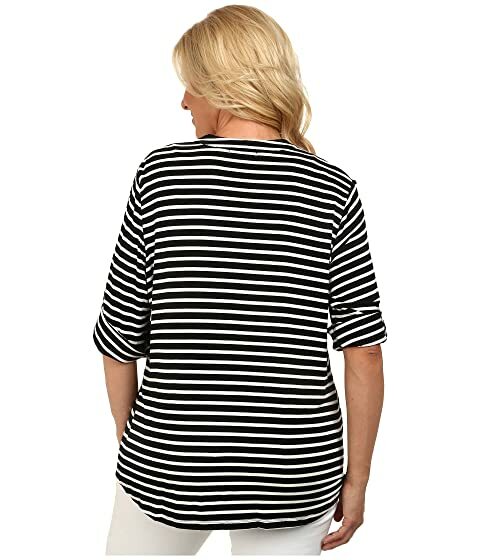 Top flaunts a horizontal stripe feature all throughout on a supersoft rayon fabrication. 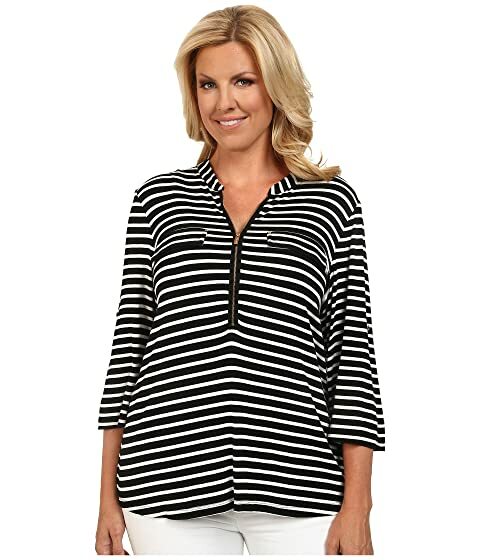 Convertible sleeves with button-tab feature. Product measurements were taken using size 0X (US 14W). Please note that measurements may vary by size.